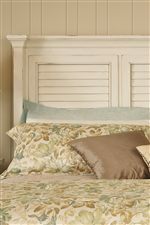 Create a sanctuary to escape from your day's troubles with this shutter panel bed. 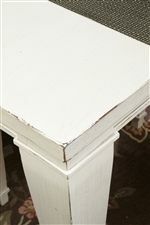 The piece carries an antique white finish and features consists of poplar solids. 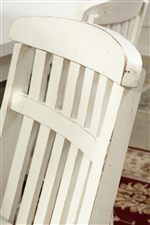 The shutter-style headboard offers a cottage feel, while the columns and panel footboard add a traditional appeal. There will be so much to like with this shutter panel bed in your room. This bed is available in queen and king sizes. 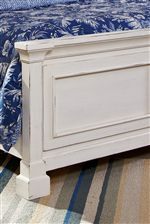 The Astoria King Bed with Shutter Headboard and Panel Footboard at Walker's Furniture in the Spokane, Kennewick, Tri-Cities, Wenatchee, Coeur D’Alene, Yakima, Walla Walla, Umatilla, Moses Lake area. Product availability may vary. Contact us for the most current availability on this product.